We’re so pleased to bring you our Best-Of green wedding trends, specially-selected from our blog archives to help you plan your NJ wedding with eco-friendly choices and sources for your dream wedding that fits with your sustainability values. 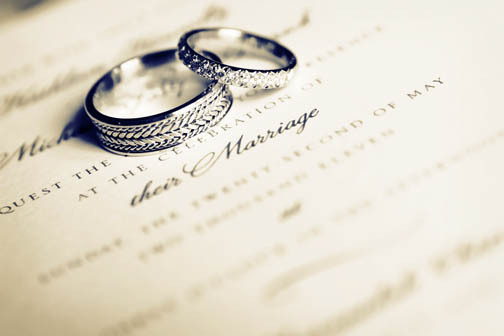 A great many of our NJ wedding couples come to us with their eco-friendly wedding plans in décor, menu, invitation and other wedding planning categories, and top NJ wedding planners also help bring green wedding wishes to life in fabulous ways. We’ve long been co-creators of beautiful green weddings at our NJ wedding venues, so we’re right there with you in your wishes to have your big day fulfill your green wedding goals. Starting with a stylish gift bag, such as an eco-friendly tote with a print design, one that can be used again and again, instead of paper gift bags. Provide several bottles of water, each encircled with your personalized wedding logo, as well as bottles of iced tea (one sweetened, one unsweetened,) or several sodas. A new wedding trend is choosing a retro soda, such as a root beer or ginger beer, orange soda or other unique taste. More brides and grooms are incorporating green wedding decisions into their big day, so that their big day is kind to the environment, and reflects the couple’s values. Many of our green wedding couples have planned garden wedding ceremonies and celebrations, choosing to marry outdoors in garden splendor, which is a top wedding trend for 2012. Ordering locally-grown flowers. A recent survey by TheWeddingReport.com showed that flowers were the #1 area of interest of green-minded brides and grooms, at 62%, since locally-grown flowers most often cost less than imported wedding flowers. A lower carbon footprint is another benefit of choosing local flowers. Your wedding ring will stay with you for the rest of your life, so it’s important to give plenty of thought to matching your ring style to your personality. With so many gorgeous wedding ring designs out there, you’ll need to explore a wide range of rings to find the one that suits your wish for a romantic ring, or a classic ring, a modern ring, or an artsy ring. Choose a ring made of metals that have been ethically-sourced, not the metal equivalent of ‘blood diamonds.’ Many of the top jewelry companies, such as Tiffany and other luxury jewelers have signed onto a ‘No Dirty Gold’ campaign that advocates avoiding any jewelry mined in unsafe, inhumane locations and conditions. Ask your New Jersey jeweler about rings’ classification, to help you avoid ‘dirty gold’ rings. A bride may dream most often and most vocally about her wedding gown, but it’s the design of her bridal bouquet that puts that perfect finishing touch on her wedding day look. The trends in wedding flowers change often, with bouquets growing larger then shrinking again into tightly-packed masterpieces filled with roses and stephanotis, and our New Jersey brides’ bouquets are now especially accessorized with sparkle and glamour and diamond pins. Bouquet Styles: Ninety-five percent of today’s wedding bouquets are hand-tied designs, in which the flowers are gathered together by hand in a symmetrical, round design, then the stems are wrapped first with securing floral tape, then wrapped again with wide, satin ribbon. This style provides for both formal and informal wedding looks as the most modern and stylish of today’s brides’ bouquet selections. Bouquet Colors: Vibrant colors are in, with our New Jersey brides looking to the recent Pantone Color Report for wedding hues to adhere to the current hot shades of coral, turquoise, yellow, bright red, fuchsia, and purple. Bright, vibrant wedding bouquets may be monochromatic – such as an all-red bouquet — or they may be mixes of bright colors and a lighter shade of that same color. Still popular among many of our brides is the all-white bridal bouquet, perhaps with subtle touches of light pink or sage green flowers to add just a bit of dimension in the bouquet. Bouquet Flowers: The top bride’s bouquet flowers include the top overall wedding flowers in the New Jersey wedding realm, with roses continuing to be the most popular at elegant weddings. Our brides love exotic wedding flowers in their wedding décor as well as in their bouquets, so we’re seeing more orchids and gardenias in floral pieces carried by our brides. And for both formal and informal garden weddings, the bride’s bouquet includes lilies, peonies, tulips, hydrangeas, and stephanotis. Bouquet Accents: As mentioned, our local New Jersey brides bring their sense of sophisticated style into their bridal bouquets as well as to their wedding gowns, accenting their bouquets – within the blooms and on the wrapped handle — with crystal pins, jewel pins, rhinestone picks, pearl pins, and even true diamond brooches or pins that may be gifts from the groom or their parents, or may be an heirloom jewelry pieces handed down to her by a beloved relative or her new in-laws. 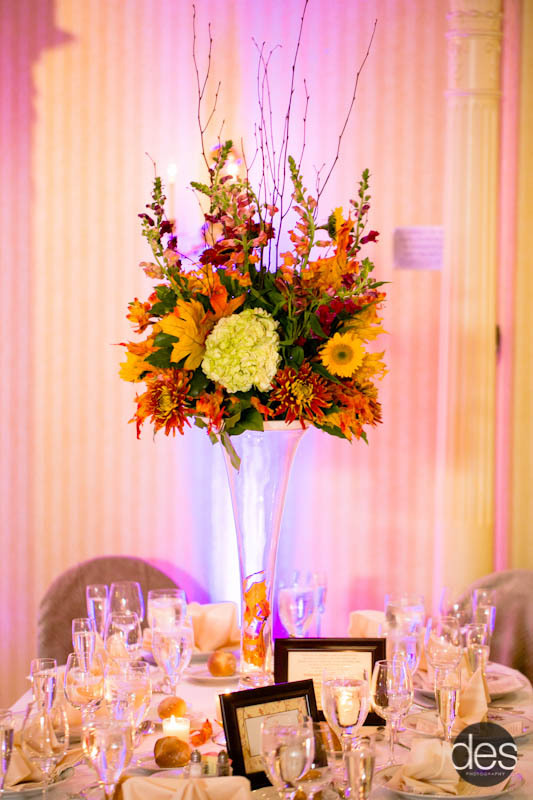 Our brides are also incorporating into their wedding floral décor and bridal bouquets tiny accent touches that convey their wedding theme: seashells or butterflies or feathers are seen most often lately here at our West Orange wedding venue. And many of our brides add a touch of good luck to their bouquets by pinning on saint medallions or inserting a lucky penny into them. With so much design thought and value placed on the bridal bouquet, it’s rarely this floral piece that is presented to a special female relative, or thrown to the awaiting single ladies. Most of our brides have at the ready a separate, small bouquet or nosegay featuring bright, fresh flowers that is used for this wedding celebration ritual. Honeymoons can be as diverse as weddings are nowadays. So don’t feel you have to do the traditional honeymoon destination. Do what fits your lifestyle. While beach bliss honeymoons are still popular, the default location is often Hawaii. But Tahiti and Bora Bora are gaining favor. Staying in thatch huts above the clear waters and enjoying massages and just de-stressing from the wedding process seems to be the most natural way to go. Keep in mind that depending on the time of year you get married will determine where you want to go based on what climate you’re looking for. If you decide to have a winter wedding there are some great winter honeymoon options. You can choose to stay in Norway’s snowy wonderland known as the Sorrisniva Igloo Hotel that is open only for a few months a year and considered as “green” as they come. If you’re a summer bride looking for a winter honeymoon look no further than South America with endless possibilities of winter activities throughout Patagonia (Argentina and Chile). Eco-Hotels are a great choice for the eco-conscious bride and groom. Going Green does not mean giving up luxury, either. One Napa Valley green hotel has the right mix of green and luxury. When you arrive you receive bicycles to discover the surrounding town with and a portion of your room rate is donated to the Napa Valley Land Trust. 1. 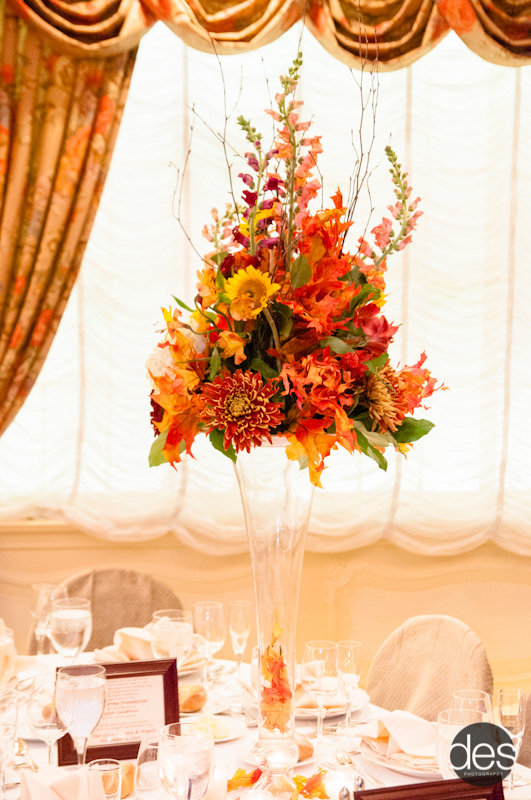 Flowers and centerpieces: Locally grown flowers don’t use as much energy to transport as those shipped from overseas. Talk to your florist about the availability of locally grown flowers. You’ll also be supporting local growers and plant nurseries. 2. Wedding invitations and stationery: Specifying recycled paper for your invitations is a great way to set the tone for an eco friendly wedding. 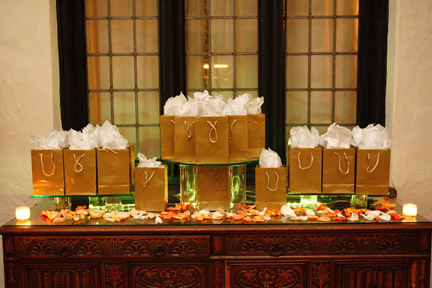 Invitations can also be made from tree-free paper. Talk to whoever is handling your printing about your eco-options. 3. Donating Food: No one leaves a wedding hungry. There’s usually an abundance of leftover food that goes home with members of the wedding party. But you can donate the extra food to local food banks or other charities. Check with charities in your local area to learn about organizations you can help. 4. Wedding rings: Even wedding rings can be eco-friendly. Some jewelers now feature rings made from recycled stones and metals. And some couples are taking heirloom jewelry and having it restyled into a more contemporary design. Considering what it takes to mine metals and gems, this can be a giant eco step. Another way to have a green wedding: get married outdoors, in a beautiful garden or other natural setting filled with greenery! The Manor has been hosting outdoor ceremonies in our formal gardens for years. And our other properties – the Ram’s Head Inn, the Pleasantdale Chateau and Highlawn Pavilion – also have beautiful outdoor areas for weddings and civil ceremonies. If we can help with your wedding, whatever shade of green you’re planning to make it, we look forward to hearing from you.